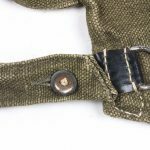 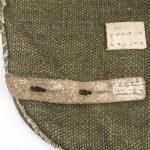 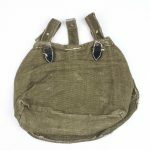 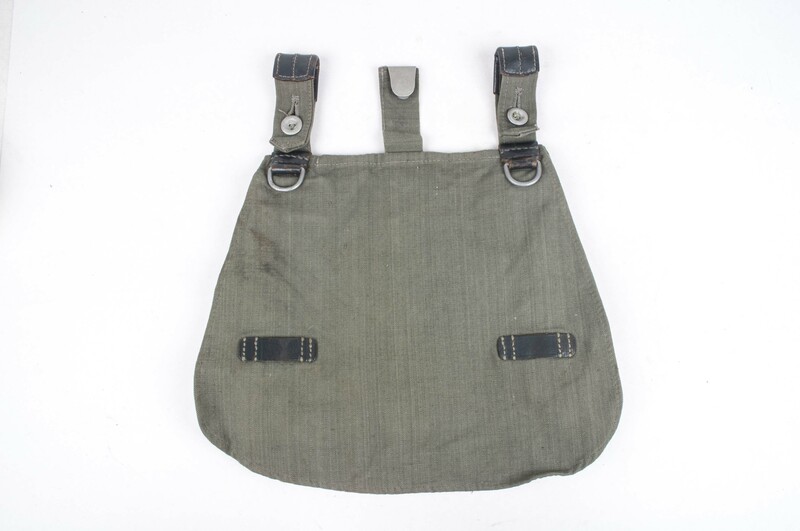 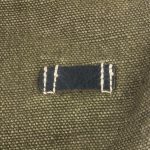 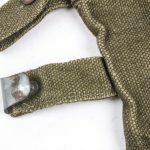 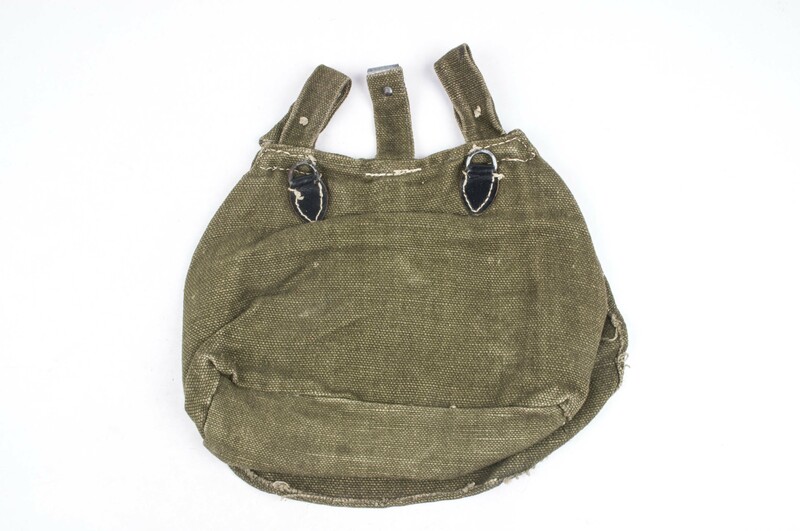 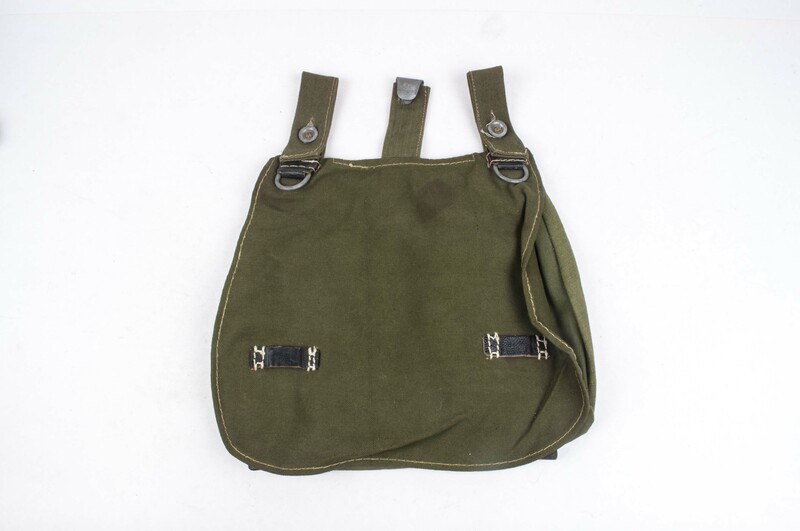 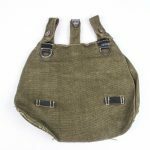 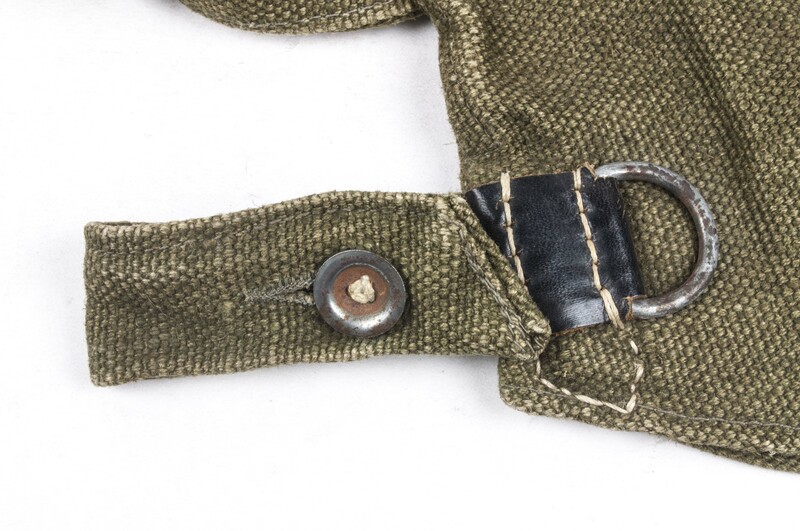 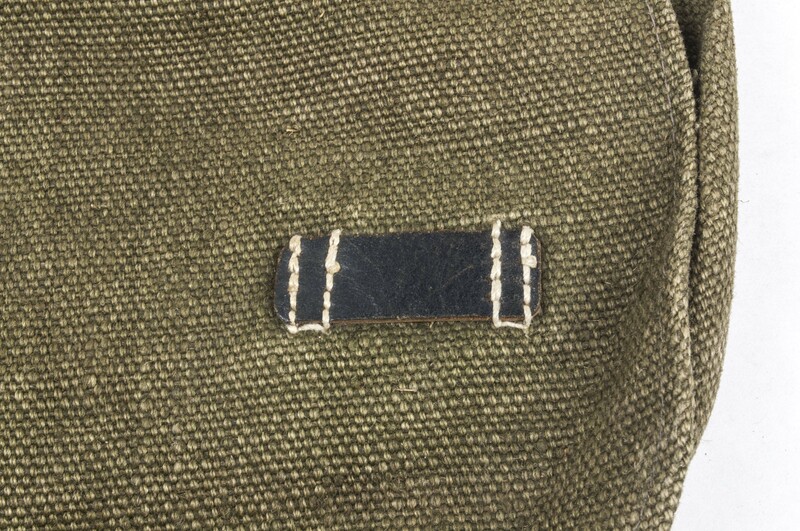 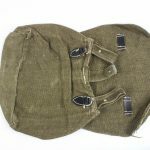 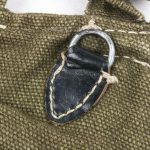 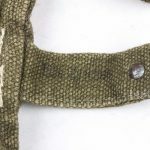 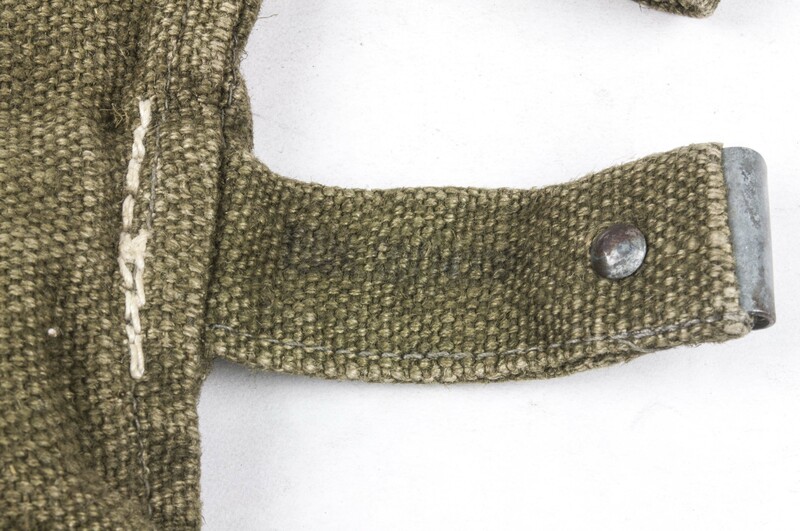 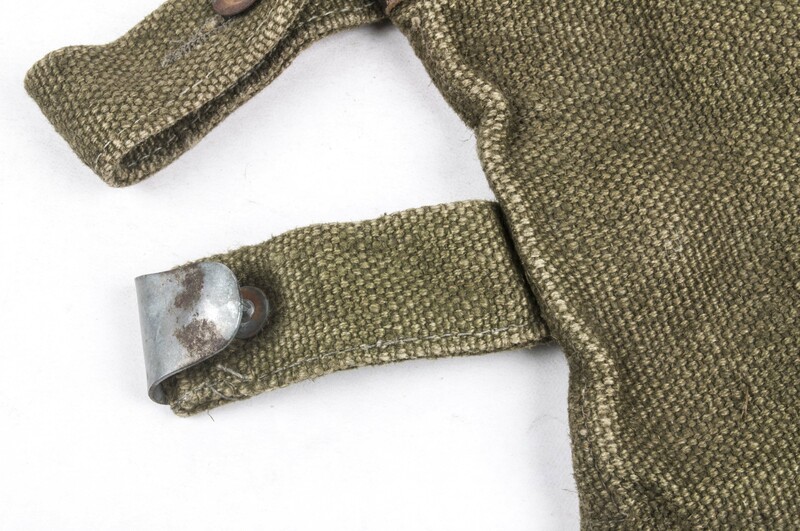 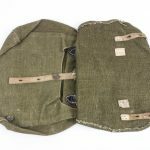 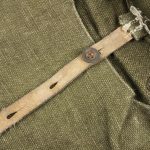 The breadbag or “m31 Brotbeutel” was one of the most integral parts in the individual Wehrmacht soldiers equipment. 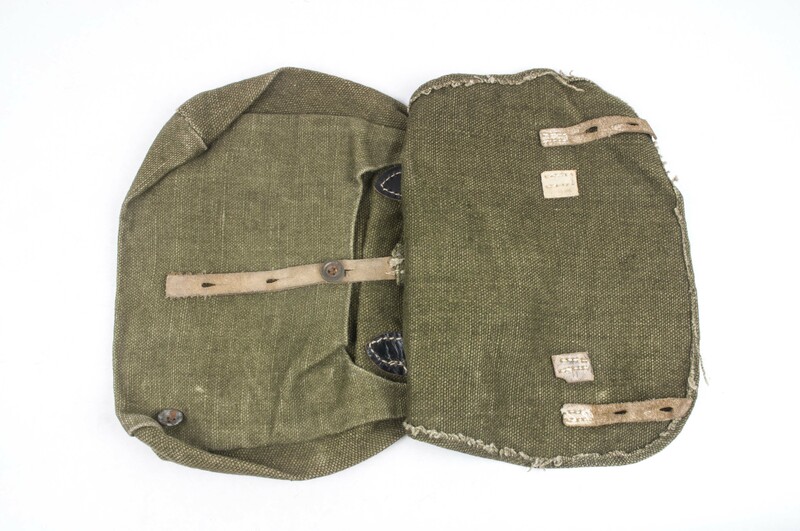 It contained mainly ration items and next to that it held the canteen and the messkit. 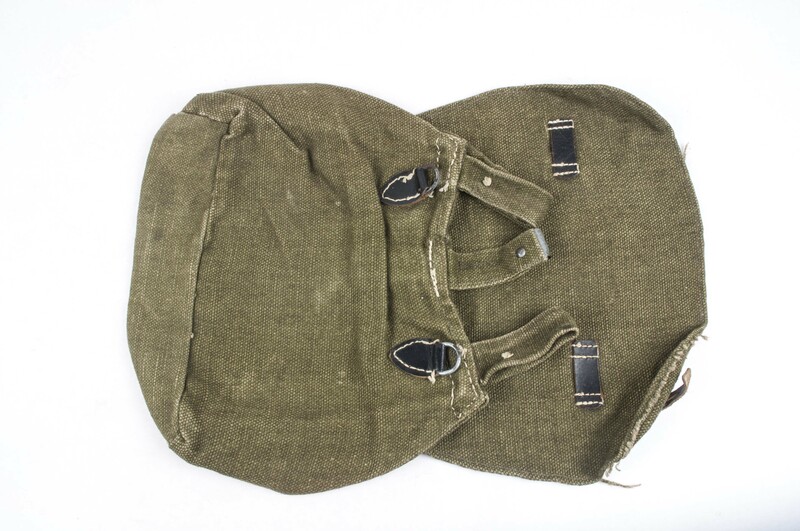 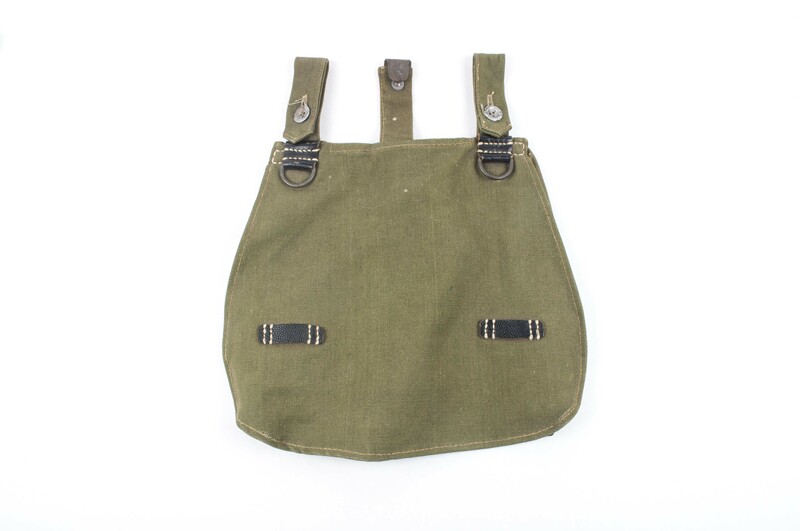 It is a single compartment equipment sack and it closes with leather straps and buttons. 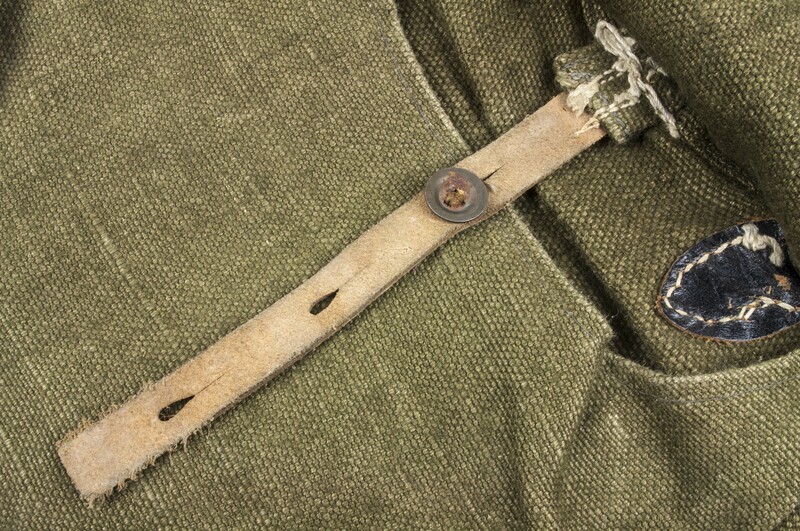 The early versions have mostly aluminium hardware and leather reinforcements on the carrying loops. 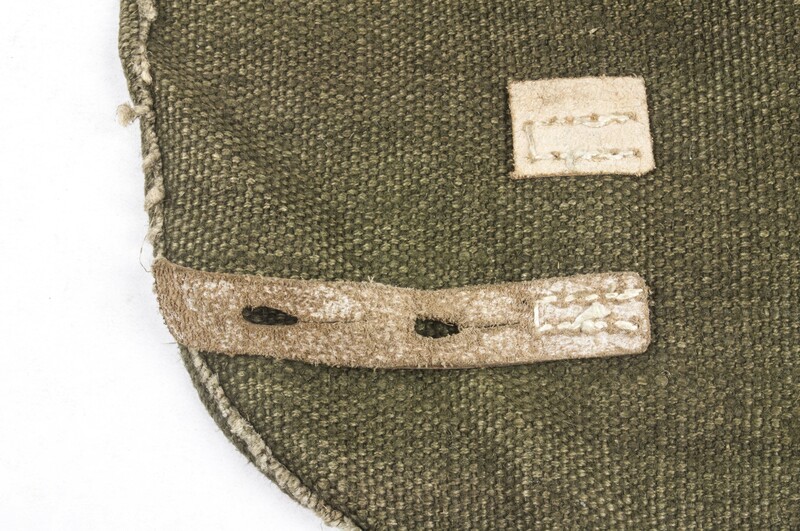 As the war progressed “luxurious” details like this where omitted. 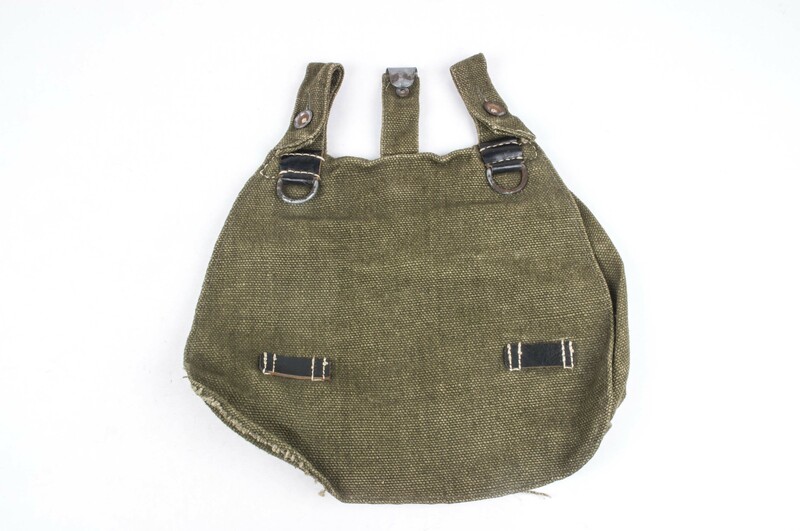 A lot of variations exist and one could easily start a specialized collection with breadbags only. 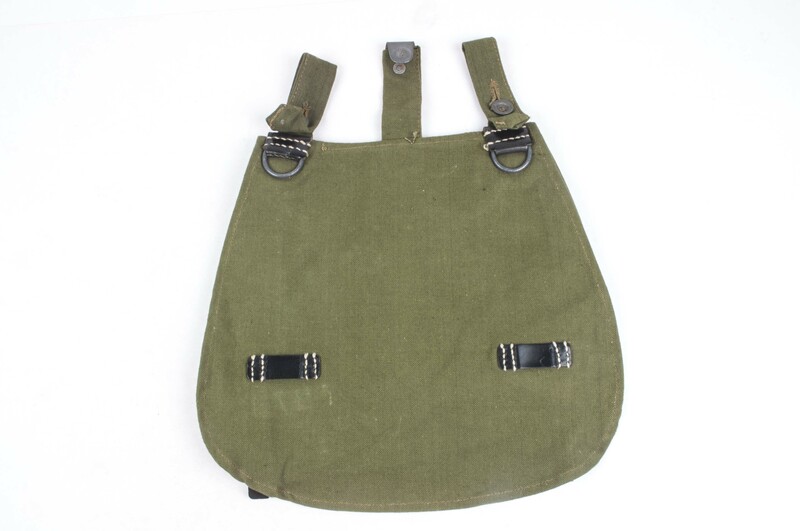 Leather: Smooth blackened leather, middle closure strap in smooth untanned leather. 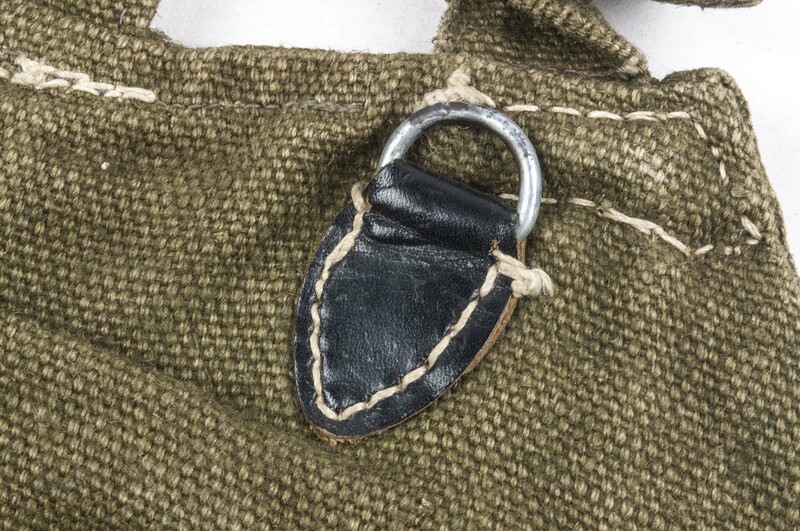 Notes: The material used in the construction of the breadbag is very course captured Russian equipment cloth.